One of the most influential and prolific filmmakers to ever come from Nova Scotia was Daniel Petrie. Born in Glace Bay, Cape Breton, in 1920, Petrie rose to the top of the Hollywood heap from the 1950s onward to become a widely admired director of both big and small screen motion pictures.While he’s not as publicly celebrated as other Canadian directors such as Arthur Hiller or Norman Jewison who found success and acclaim south of the border, the diminutive Cape Bretoner was the only Canuck film director to return to his homeland to make an autobiographical feature – 1984’s Genie Winner for Best Canadian Film, The Bay Boy, a film that looked at Petrie’s origins through the eyes of an expatriate. That film also happened to launch Kiefer Sutherland’s career, as the young actor and future Brat Packer stood in as Petrie’s surrogate in the depression-era tale of murder, anti-semitism, sexual abuse by the Catholic Clergy and, perhaps most important, the dashed economic dreams of an entire generation. Fascinatingly, Petrie’s films were often full of daring concerning their subject matter. In 1976 he confronted family sexual abuse and multiple personalities with Sybil, winning Sally Field an Emmy for Best Actress in the landmark 4-hour television mini-series that was one of his career high points. Petrie scored more Emmy Awards over the following two years with his powerful and illuminating seven-hour series Eleanor and Franklin, telling the story of Franklin Delano Roosevelt’s rise to power from the point of view of his wife, who suffered through her husband’s longtime adultery even while the beloved president saw America through the Depression and most of World War Two. The Golden Age Of Television. That makes the genial Bluenoser part of a select few Canadians honoured with Criterion releases. David Cronenberg, Alan King and Claude Jutra are the others. It’s an exclusive club, for sure.So why is Petrie not better known? It’s a fascinating question. Perhaps the key reason is that the elfin Cape Bretoner was not interested in self-publicity. He built a fearsome reputation in Hollywood as a fixer, someone who could be relied on to rescue a project that was already in trouble, like the 1988 film Rocket Gibralter, which was the legendary Burt Lancaster’s final starring role. Petrie also was known for bringing films in on time and on budget, perhaps the thing the industry valued the most. Educated at Saint Francis Xavier University in Antigonish, Petrie cut his teeth in college drama productions while learning media production at the town’s radio station CJFX. A chance at an internship with NBC in New York City led to another break, a role on Broadway with Richard Widmark and Judy Holliday in the hit play Kiss Them For Me in 1945. Directing Studs Terkel’s early TV show in Chicago in 1950 was next. From there, Petrie’s career blossomed. 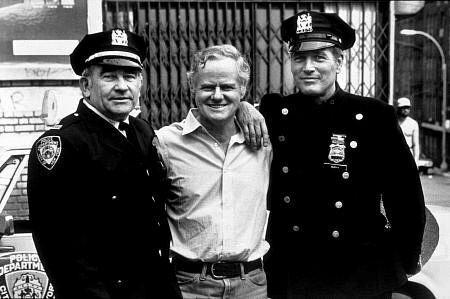 Petrie on the set of Fort Apache: The Bronx, with Ed Asner (left) and Paul Newman (right). This humble and amazingly productive filmmaker directed pretty much every type of film. He made remakes like Lassie, sequels such as Cocoon: The Return, indie projects like The Gun and the Pulpit, and serial television like McMillan and Wife. Although his films were never big box office successes, he did manage a blockbuster with his 1981 police thriller Fort Apache: The Bronx, which starred Paul Newman and Ed Asner, Fort Apache, and earned $65 million at the box-office. Petrie worked with many of the biggest stars in film and television history, and developed a reputation as an “actor’s director.” As noted above, the list included Burt Lancaster and Paul Newman, as well as Laurence Olivier in The Betsy), Ellen Burstyn and Sam Sheppard in Resurrection (in which Burstyn was nominated for an Academy Award for Best Actress), Walter Pidgeon and Ernest Borgnine in The Neptune Factor, Sidney Poitier in A Raisin in the Sun (which was nominated for a Palme d’Ore at the 1961 Cannes Film Festival, and for which Petrie received a special Gary Cooper Award at Cannes), Jack Lemmon and George C. Scott in the 1999 TV remake of Inherit The Wind, Gena Rowlands and Laura Linney in Wild Iris, and Richard Burton in The Bramble Bush. He even got to work with two of the crew members of the original Starship Enterprise – George “Mr. Sulu” Takei played Le Duc Tho in the 1995 TV movie Kissinger and Nixon, and fellow Canadian William “Captain Kirk” Shatner starred in For The People, a 1962 crime series for which Petrie directed an episode.Besides The Bay Boy, Petrie returned to Nova Scotia two other times to shoot films. In 1972 he directed The Neptune Factor with Walter Pidgeon, Ben Gazzara and Ernest Borgnine, on which he employed as crew some of the people who would go on to form the Atlantic Filmmaker’s Co-Op the next year, and in 1996 he shot the Hallmark Hall of Fame television movie Calm At Sunset outside of Halifax, using the legendary actor and director Melvin Van Peebles in a major supporting role as a wizened fisherman. Daniel Petrie died in Hollywood in 2004 after a brief bout with cancer. He was directing up to two films a year until 2002. The ultimate Hollywood insider, he was a prime mover in the American Film Institute, but it’s perhaps his family which is his greatest cinematic legacy. Two of his sons have pursued careers in cinema, both more successful in terms of box office “hits” than their father. 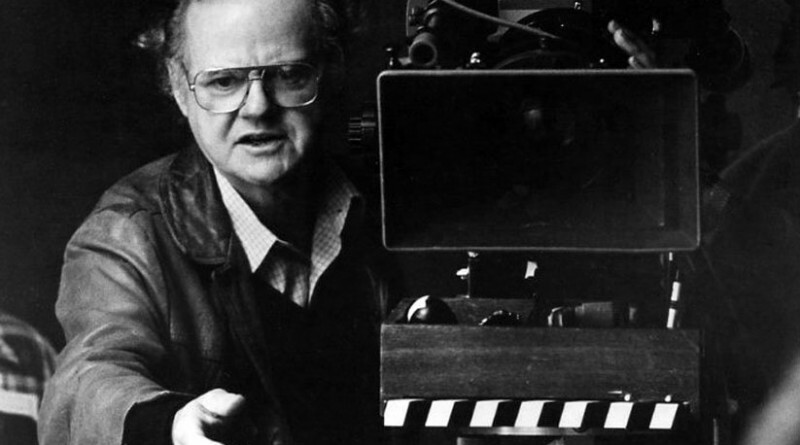 Donald Petrie followed in his father’s footsteps as a director, helming such popular films as Mystic Pizza, Turner & Hooch, and Grumpy Old Men, while Daniel Petrie, Junior become a screenwriter of such films as Beverly Hills Cop and Toy Soldiers (he has also worked as a director himself, as well as a producer). Daniel, Jr, was also the longtime the Western Zone head of the Screenwriter’s Guild of America, where he was responsible for negotiating contracts with the major studios and broadcasts on behalf of professional motion picture writers. Within his home Province little serious consideration has been given to Daniel Petrie’s prolific and impressive oeuvre (as a television director he won multiple Emmy and Directors Guild of America Awards), and yet the high regard in which he was held south of the border by his peers indicates that he’s due for a considerable reconsideration as Nova Scotia’s greatest film director. Petrie was a wonderful director to work with, enthusiastic and energetic right to the end. He was engaged to direct a TV movie in 2003 but left the project after clashing with the producer/writer. Petrie said at the time that this would have been his last directing gig and he did not wish to go out on a bad note. “From here on” he said, “i will just be writing and producing”. He was 83 at the time. Hello , When Daniel Petrie was in Glace Bay directing The Bay Boy my Father wanted to meet him , he told me he was in grade school with him . We were on the corner of Main & Commercial Street , so was Mr Petrie and a lot of other people . ” I will get him for you Da ” I remember calling his name saying ” Someone wants to see you Mr. Petrie “. He walked towards us with a big smile & my Father asked him ” Do you remember me ” ? Mr Petrie said ” Indeed I do , your George , we went to school together ” . Mr. Petrie reached in a top-coat pocked and took out a photo of a Nun ( Teacher ) who taught them both saying she was the best Teacher he ever had . They had a wonderful conversation , the famous Director & The Coal-Miner, but to my Father he was a friend and Mr. Petrie felt the same way . They talked about a lot of things . I was very happy to see this and best of all I had my camera . I do have a very nice photo of them along with some others , but the two of them together is priceless . Memories ,My Father & His Friend have passed on . May They Rest In Peace . In 1983 I returned to Glace Bay from Albertashortly after my father passed away and found myself outside the temporary offices of The Bay Boy production team. A friend said to me , Are you going to try out for the movie? I responded, what movie? They’re shooting a movie in the Bay and it’s called the Bay Boy! So up the stairs of the old McRae block I go and find that a number of small roles are still available, so I am handed a couple of pages of script and told, “Dan is looking for a couple of roughies to take on the cops”. I read over the lines and accept that when I get my opportunity, I’m goin for it! When I was called in to the suite there was Dan Petrie, his wife and a couple of other production assistants. Mr. Petrie says to me, are you ready to tackle Glace Bay’s Finest? I said yeah, I think I know what you may be after here; He also said to me, now I want you to make this look and feel real. The two assistants will play the Police and you will resist their attempts to arrest and subdue you . To my self I thought” this should be easy, been down this road before. When he said “Action” we were on…..I went into reality mode thinking of past times in real situations and took the offensive with the two pretend Cops. Struggling, flailing, scrambling, squirming and cursing the Skirmish was as Authentic as I could calculate it since, we were in an office and, this was an audition afterall. I felt we had made an impact and when Petrie said ….”Cut” I was in a sweat….Looking straight at me and in unison with his wife, They both leaned forward and said ….Wow!..if we didn’t know better, we’d say you’ve done this before! My response was , Yes , There have been a few incidents as a young fella that may have prepped me for this moment. To my credit , they both immediately chuckled and gave me a unanimous endorsement for the role of “Rory McInnis”. I went on and performed the role in a couple of scenes in the movie and it was an incredible experience, all made possible by Dan Petrie coming home to make this movie just like I came home to move forward with my life. The Movie, the role , the town, the story….all made a huge impact on me as it all seemed much like Life imitating Art…..an Art imitating Life…symbolically together at a crossroads in the Town I was born in….Thank you Dan Petrie….I will never forget what this means to me….